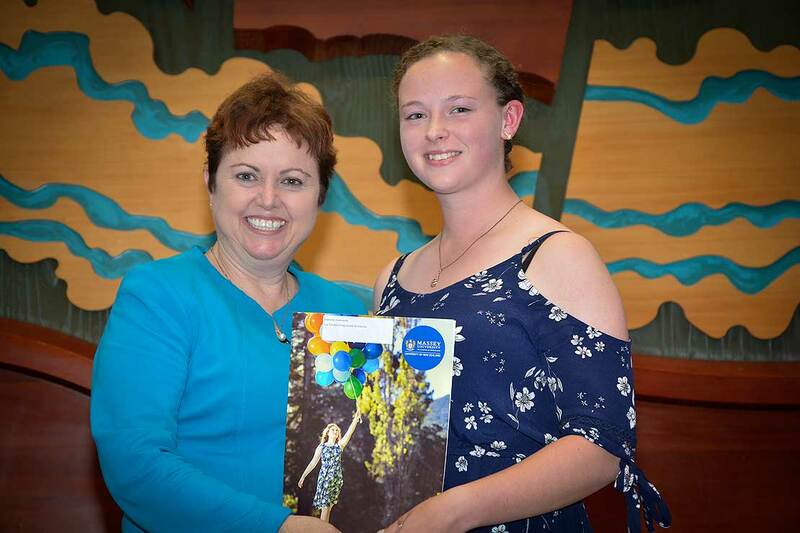 Massey University Vice-Chancellor Professor Jan Thomas and scholarship recipient Charlotte Holdsworth. More than 100 agriculture and horticulture students have received scholarships from local organisations, donors and trusts, to support their study at Massey. The scholarships were awarded as part of the Applied Academic Programmes Scholarships Evening, held at Massey University’s Manawatū campus on Tuesday. The evening celebrates the success of agricultural and horticultural students at undergraduate and postgraduate levels. Applied Academic Programmes Scholarships Committee chairman Dr Kerry Harrington says the scholarships are an important boost for students and owe their existence to the communities who fund them. “These scholarships only exist thanks to the generosity of our community. Each scholarship is provided by those who are passionate about learning and supporting those students who are showing the kind of hard work and success that the industry is currently seeking. I would like to congratulate every student who worked hard to receive a scholarship and every donor who had the passion to provide them,” says Dr Harrington. Mr Lachlan Smith [grandson of Charles Smith] and Joshua Hunt. 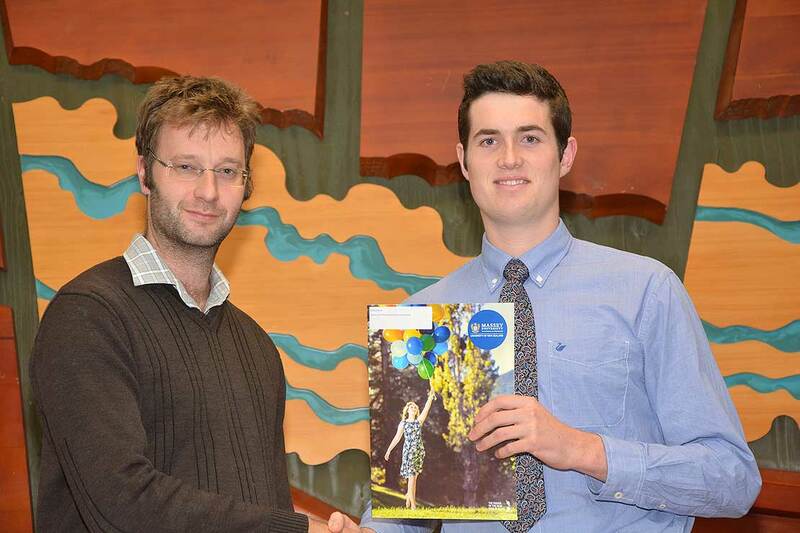 Bachelor of AgriScience student Joshua Hunt received the Charles W R Smith Memorial Scholarship worth $10,000. The scholarship is in memory of the late Charles William Robert Smith, who farmed at Whangaehu, and is given out based on academic achievement, financial need, or a demonstration of hard work. Mr Hunt also picked up the Ingleby Scholarship. One of the many important scholarships is the Lois Postgraduate Turnbull scholarship, which is funded annually by Dr Lois Turnbull, a former student of Massey University who was encouraged to undertake postgraduate study because of scholarships available and now wishes to support female students into postgraduate study of agriculture or horticulture. Masters student Charlotte Holdsworth, who is doing research on stopping hillsides slipping away in farmland, received Dr Turnbull’s scholarship to support her work. She also received the George Mason Sustainable Land Use Scholarship, and the Horizons Regional Council Sustainable Land Use Research Scholarship. Also a recipient of a number of awards was honours student Baeley Ravenwood, who is doing research on how to get plantain established on hillsides that cannot be cultivated. Ms Ravenwood took home the Charles Elgar Scholarship, Seed Tech Services Scholarship, and the Sydney Campbell Postgraduate Scholarship. Scholarships were provided by a long list of private trusts and donors, as well as organisations such as Horticulture NZ, Beef + Lamb, T&G Global, FMG and Horizons Regional Council.